A Friend from Facebook Land shared a post – a Guitar Teaching friend which included this photo – Can You spot what is wrong ? The first eight points – exactly match the hierarchy of importance of subjects taught in schools – since the Industrial revolution – the 1800s – this was the findings of research done by Sir Ken Robinson, in his book In your element – where he looked at schools from countries across the world. Because Sir Ken, education advisor (You can see his TedTalks very iintriguingly nformative, very dry sense of humour) discovered It doesn’t matter which country you go to – the hierarchy is always the same – Science, Technology, Engineering and Maths – first, then languages/Humanities, next sport and at the bottom the Arts – it just so happens that the first eight points of this, which is what I’m covering here exactly mirror the hierarchy and very likely your subconcious beliefs about Music – i’ll come back to that one in a moment. If Music is Art is the Most Important Point – which is what this picture argues, as the last point – then it should be the first point NOT the last point – EXCEPT if it was the first point then perhaps not so many people would be interested. It’s like somehow Art is for other people, music making is for other people not You, music making is AFTER You have completed your studies, Discovering the enjoyment of Music is AFTER You have raised a family, had the career – There is no time for Music – and yet ofcourse we know that’s not true – never about time poverty, more about time prioority. Yes life can sometimes get in the way – but if we’re really honest all too often we allow life to get in the way. And Viktor Frankl I believe clearly demonstrates this in his book Man’s search for Meaning – where he describes his experiences as a prisoner in a world war 2 Nazi Work Camp – where prisoners were worked really hard – became emaciated, very thin and weak, because they didn’t have much food or water – he talks about how it was people with a higher purpose that got through unbelievably harsh conditions of the work camp – it didn’t matter for example whether someone was religious, or maybe had passionate belief in an ideology , like Communism and yet the people that seemed to perish first were those whose lives were all about going to work, raising a family and paying the bills – because their whole identity was wrapped up in going to work, raising a family and nothing more – Viktor believed that when that was taken away from them – which it was going into a Prisoner Camp – then it was like their life lost meaning – there was definitely nothing inspiring about doing really hard manual labour in a work camp. And yet Viktor discovered another category of people, who unexpectedly seemed to bear up way better than average under the hard conditions of a world war 2 Work Camp – and these were people who were actually willing to risk their lives stealing NOT food… NOT water, but instead bits of paper and charcoal… so that they could draw.. so that they could create Art. Because at a very deep level these people knew, realised, experienced that Art is the highest form of Human Expression – it is what gives meaning to life – not just being a passive spectator, but actively involved – and it was under the harsh conditions of a world war 2 prison camp that they rediscovered that. Ofcourse in a world war 2 camp, even if it were possible to get their hands on musical instruments – then that would not have been the wisest thing to do – drawing was less likely to get attention from the guards. But it’s so easy today to get caught up in, I’ll get to play Guitar which happens to be what I train and coach people in, or I’ll get to drums, the bass, the bassoon or whatever Your instrument happens to be AFTER You’ve done Your other important things such as work, career, studies, raising a family – which Viktor’s Man’s Search For Meaning suggests, ofcourse they are important, just not so important to spend all of your time on. It’s easy to pay lip service to Art as the highest form of human expression. 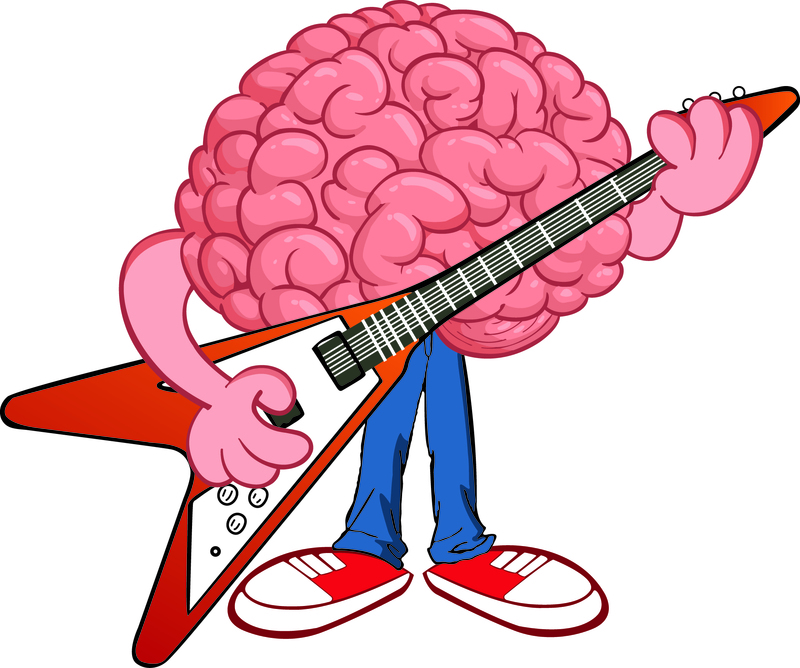 shows that nothing uses more of the brain than Meaningfull Music Making – this is what I refer to as The Meaningfull Music making effecrt and Not the Mozart effect. But really most of all – as the Picture suggests Music is an Art Form – although today to get people’s attention to the importance of Music – there is this appeal to Science. Okay so You’re at least a little curious about this reminder of what You probably already knew – which is that Yes Art is the Highest form of Human Expression – perhaps You’ve heard that phrase; maybe You’re not sure what something like “Elevated to An Art Form Means”. My take on Elevated to an Art Form – in one word – all about subtlety. Is it possible for someone, not involved in an Art – to raise what they do to an art form – the short answer is Yes – for example 1970s footballer Pele, star striker for Brazil – the way he flicked and kicked and effortlessly seemed to weave past the opposition to score goals – many called what he did an art form. WE vdo not have the phrase elevated to a sports form – even though sports people can raise what they do – by being trained, getting focussed and applying subtle distinctions to what they do. This reminds me years ago when I coached and trained a retired kickboxer – who used to see me after going to the gym – and believe me he was not short of effort – I could see every single muscle on his neck through to his arms going in – except with an art form, especially about music – it’s not about physical effort – in his case, and in many cases we work on getting him out of what I call life mode into music making mode. If anything, the physical effort is way way more subtle in Music making than probably any other activity – and yet the level of focus I would argue to make those subtle distinctions is way higher than any other activity – and this is one of the reasons NeuroScience is showing that nothing uses more of the brain than what I call Meaningfull Music Making – which is something that is not instantly easy to play, but something that is beyond your current skill ability, and more importantly something that You believe is achieveable. And I’ll write about this another time. Well one of today’s health crises is Alzheimers/Dementia – and one way to consider this disease is where the person starts to shut down – starting by losing subtle skills, until progressively they sadly do die – there is no cure – Music seems to play a part – which I believe will become even bigger. 3) Art is all about Subtlety, getting better informed and trained in making gradually more and more subtle distinctions – not just in Guitar Playing, or MusicMaking. And you can see this for example in martial artists – the difference between a black belt and someone who has gone further, is not necessarily in being able to make new moves – rather it’s the increasingly subtle distinctions in the moves they already can do – and more subtle distinctions means more focus. So what about your subconcious beliefs about Music, how might they be holding you back without you even knowing it. Well the answer is pretty obvious – because even though I don;t know You personally, I do know that you went to school from the age of 5 or 7 until at least 16 ior maybe into your 20s. If You are in work, or a career – then chances are you are somehow doing something around Science, Technology, Engineering or Maths – that’s what most of the people I see do anyway – so that when it comes time to pick up your guitar – because of the level of importance of subjects You learned at school (science at the top… and art at the bottom) You unwittingly, unconciously, unknowingly believe that Music Making is not very important. But by shining a different light on this, if You will, which was the point of this post – I sincerely hope you are feeling a little more intrigued, curious, inspired even about Music making, Meaningfull Music Making – whether that happens to be Guitar Oriented Rcok, Blues, Indie styles which I happen to teach, train and coach in, or whatever Meaningfull Music Making, and whichever instrument resonates with you. 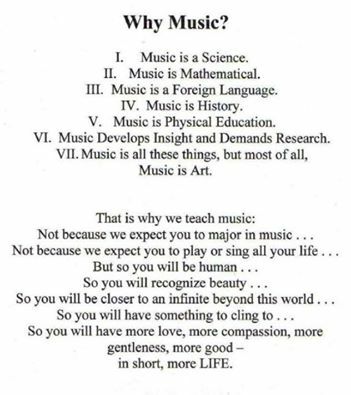 As You have read through to here, You perhaps have an idea that Music is more important than you realised. And the pointer to all of this is in Alzheimers, the Link To The London Shard (yes that 72 storry building – that one) and Rock N Roll – or whatever happens to be Meaningfull Music Making for You. If You have any thoughts, comments, questions – Please write them in below. And keep a look out for London Shard, Alzheimers and Rock N Roll !